GiGaBlue UHD 4K receivers back in stock from only £209! 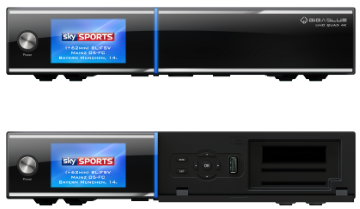 OPTIONAL DVB-S2X MULTI-STREAM TUNERS AVAILABLE! Thread: GiGaBlue UHD 4K receivers back in stock from only £209! OPTIONAL DVB-S2X MULTI-STREAM TUNERS AVAILABLE! 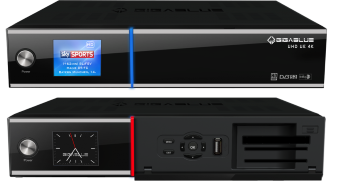 AMAZING GIGABLUE UHD 4K RECEIVERS FROM ONLY £209! GiGaBlue UHD Quad 4K from only £279! Picture in Picture GiGaBlue UHD UE 4K from only £209! ENIGMA 2 SUPPORT FROM OPENViX, OPENPLi, OPENATV, TEAMBLUE AND MORE! OPTIONAL DVB-S2X MULTI-STREAM COMPATIBLE TUNER MODULES NOW AVAILABLE! KODI PLUGIN NOW AVAILABLE FOR GIGABLUE UHD RECEIVERS! FREE ENIGMA 2 IMAGE FLASHING OF YOUR CHOICE! IN STOCK READY FOR NEXT DAY SHIPPING! LOW COST EUROPEAN SHIPPING RATES TO REPUBLIC OF IRELAND, BELGIUM, DENMARK, GERMANY, LUXEMBOURG, NETHERLANDS, SPAIN AND MORE! Secure online ordering - Paypal and all major cards accepted - Order online 7 days a week! *SEEN ANY PRODUCT CHEAPER? CONTACT US AND WE’LL TRY TO MATCH LIKE FOR LIKE! All times are GMT +1. The time now is 13:13.